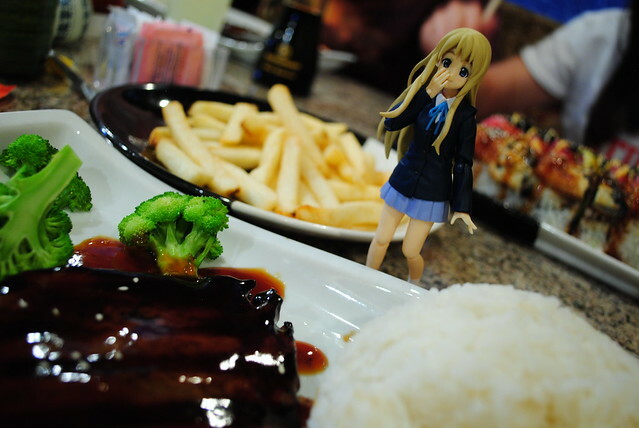 Just in case you were getting bored of Yui, this time, I took out Mugi for dinner. We went to to this sushi place, Geisha Sushi it was called. Much to my disappointed there were no geisha around at all. I'm not a fan of sushi or fish for the most part, so when I got out to sushi bars I got to make sure they serve other types of dishes. Dishes such as this totally awesome looking New York Teriyaki steak. 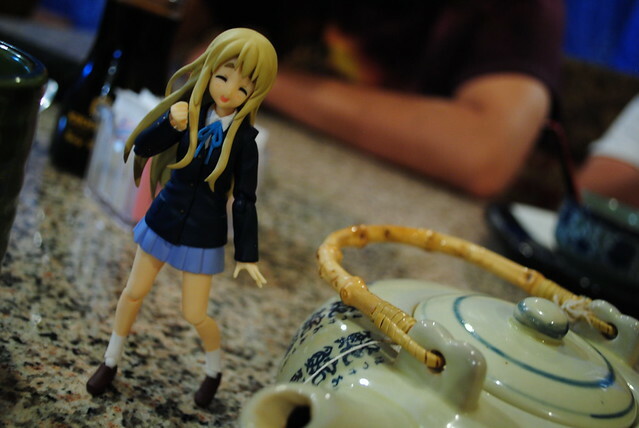 Fun outing aside with my friends and Mugi, something else had my interest this past week. I bought an iPhone, it's nice to own a 21st phone and have all that connectivity. Although I do want to make an effort to not become engrossed with said connectivity. 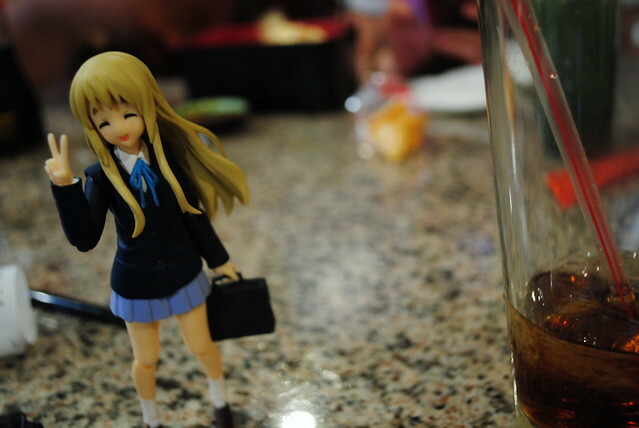 After all, the times when I left home is the few where I was not tied to down to the internets. 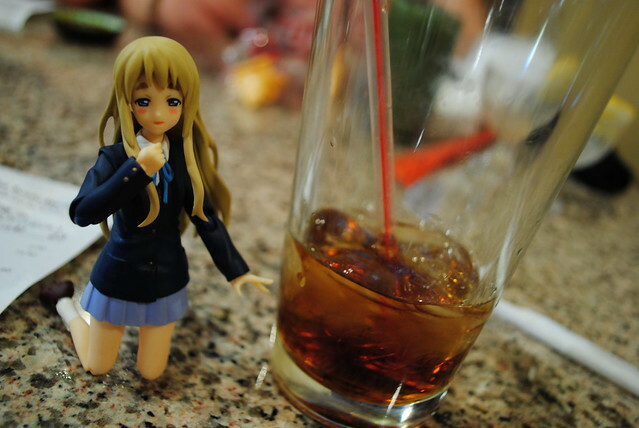 Funny comment about the above picture, when my friend saw it he said: "It looks like you got Mugi drunk!" Back to the iPhone, I got a couple of questions for iPhone savvy people. Is there a way to remove the default apps? The other obvious question, what are some interesting or useful apps? If you are curious as to what I got on my iPhone right now, you can take a look at this flickr set of mine. 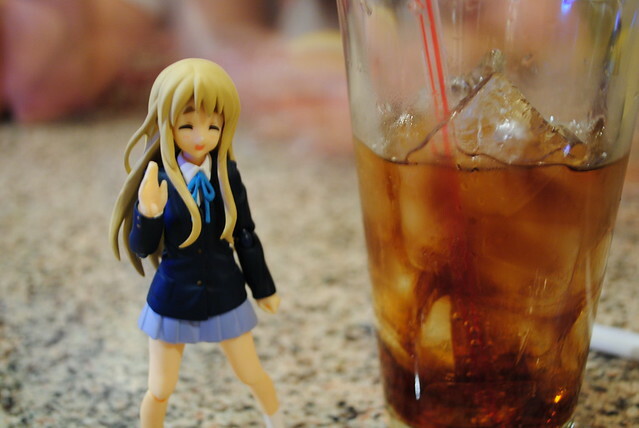 With that said, time for me to take off an enjoy my Easter Sunday with my family.